Since 2007, they have uncovered and promoted through their events some startling research. Scientists from Berkeley University tested the hypothesis that volunteerism reduces risk of mortality. After adjusting for health and other socio-economic variables, researchers were astounded to find that mortality rates declined by 44% when people volunteered for four hours or more per week. Other studies from Harvard, Stanford, Emory, and Cornell clearly demonstrated that volunteering alone will increase not only the length of your life, but also the quality of it through reduced injury, improved mood and self-esteem, less stress and anxiety, better job performance, and increased weight loss and general overall health. In addition, studies of adolescents and children demonstrated that volunteering was directly correlated to a reduction in smoking, addiction, teen pregnancy, and obesity, while at the same time increasing scholastic performance. GIVETOLIVE has been busy. For their first three years, they organized The Big Ride, a cross-continent relay cycle from Canada (once from Halifax, twice from Vancouver) to Texas, raising over $750,000 for cancer-related charities. 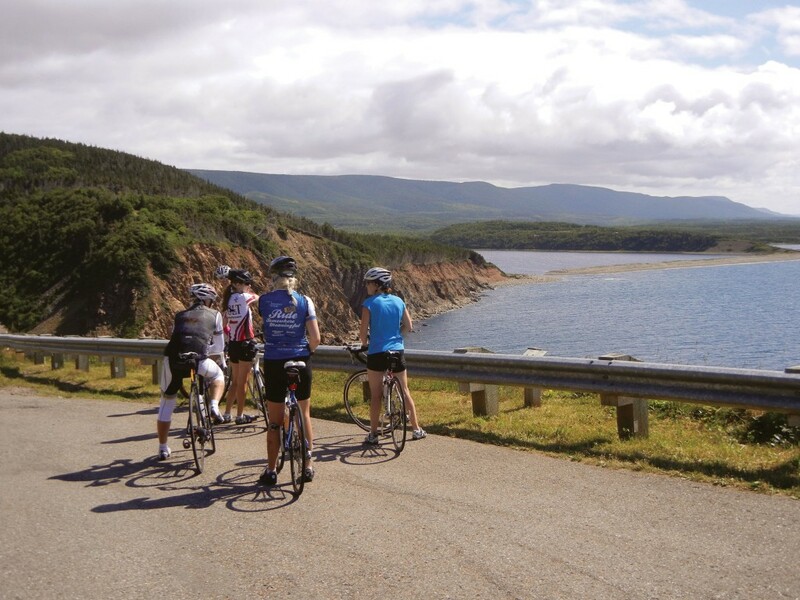 In 2011, they partnered with Coast to Coast Against Cancer and led a group of 60 cyclists around the Cabot Trail, raising another $150,000 to help families affected by paediatric cancer. They also launched The Big Swim, a 14km swim across the Northumberland Strait, to raise money for camps that support children with cancer. GIVETOLIVE has big plans in 2012. The Big Swim takes place on August 14th: 10 swimmers have signed up so far to swim from NB to PEI and raise money for Brigadoon Village, a camp for children with chronic illness in NS. From August 3rd to 5th, more than 100 cyclists will tackle the Cabot Trail again on a three-day adventure. Both events are still open for registration and all information can be found at www.givetolive.ca or by emailing info@givetolive.ca.